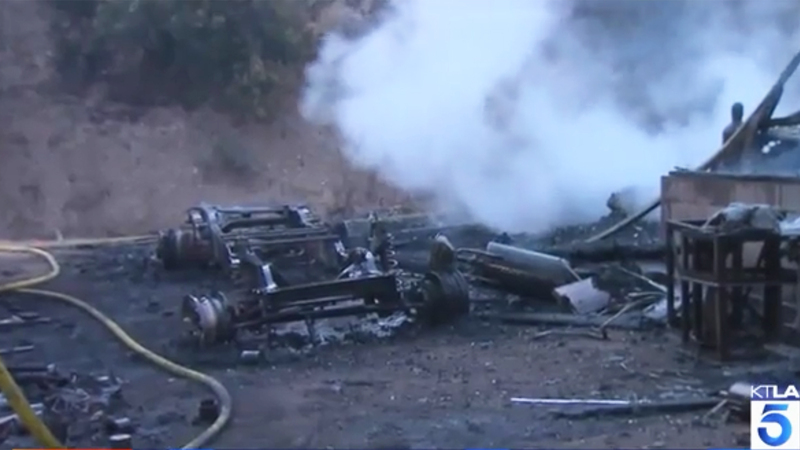 SCVHistory.com LW3014 | Sleepy Valley | Verbiesen Ranch & Car Collection Damaged by Fire, 5-29-2017. 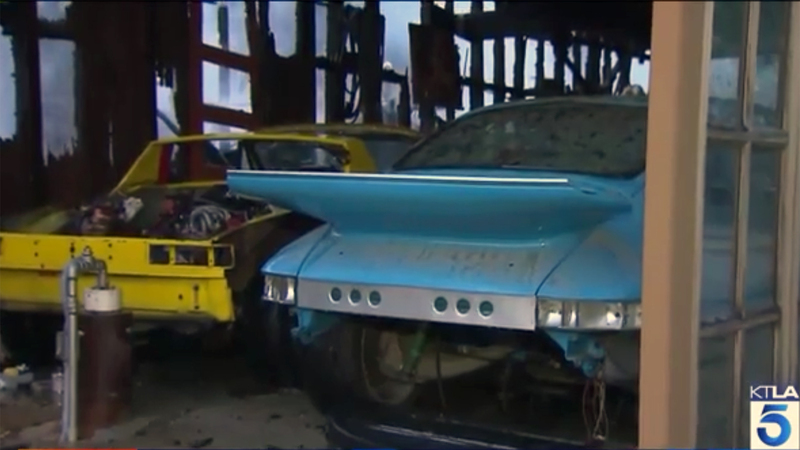 A suspicious fire ripped through Arnie Verbiesen’s Agua Dulce ranch during the early-morning hours of Monday, May 29, 2017, destroying his classic car collection. 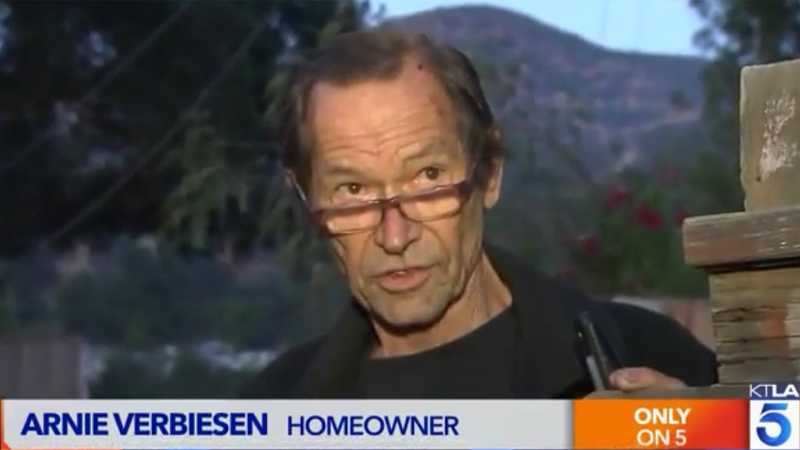 L.A. County Sheriff and Fire Department investigators said the blaze started in a guest house on the property where a tenant lived, and spread to a barn that housed five collector Porsches and an MG RV8, which Verbiesen characterized as his life savings. 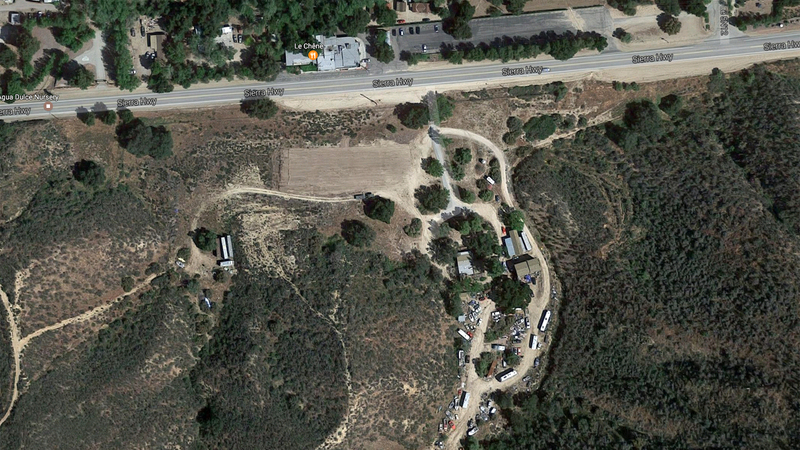 The fire burned 3 acres of the property at 12620 Sierra Highway in the Sleepy Valley section of Agua Dulce. Assessor records show a 1,200-square-foot single-family home built in 1958 on a 13.6-acre lot. Passenger lists and naturalization records show that Verbiesen (b. 1943) and his parents, Josephus Arnoldus and Adriana Cornelia (Shanna), and a sibling, Adri-Jan (Jan), emigrated from the Netherlands in that year. The ranch property sits across Sierra Highway from Le Chêne French Cuisine. 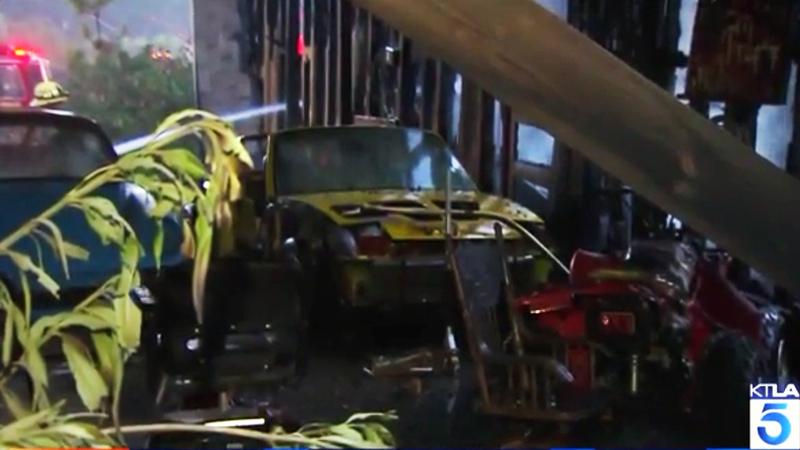 Restaurateur Juan Alonso told reporters he came out of his house (next to the restaurant), saw flames and heard "some loud explosions," possibly from the cars. Arnie (Arnold Joseph) Verbiesen advertised his ranch as a movie property (above). He has a number of motion-picture credits to his name as a special effects technician and/or foreman from 2002 to 2008 including "The Matrix Reloaded" (2003) and "Meet the Fockers" (2004). For a short time in the late 1970s, Jan Verbiesen apparently operated an MG Museum on the property. According to the Los Angeles Times (April 30, 1978), there were 23 cars in the collection when construction started in January 1958 on an octagonal museum building. Public records show Jan Verbiesen (1949-1994) incorporated the nonprofit Friends of the Verbiesen MG Museum Inc. in 1977; it was defunct by 1982. 1. 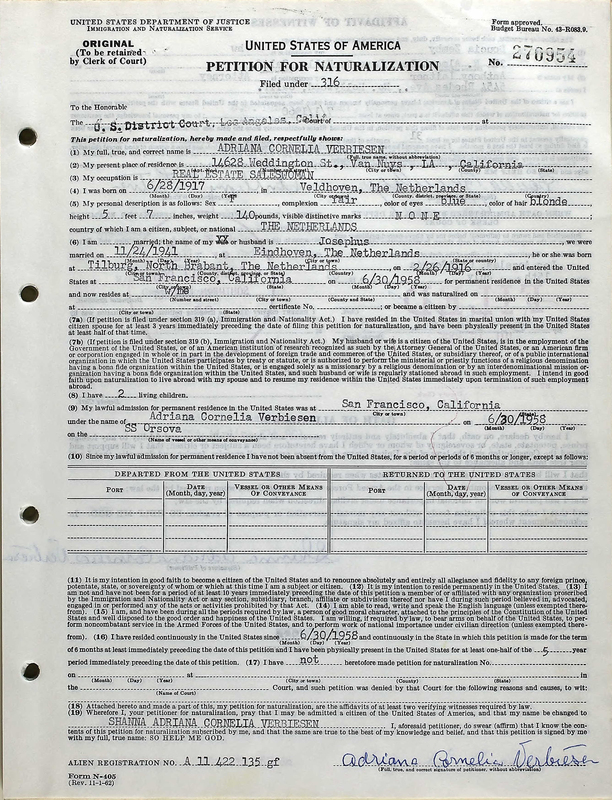 Adriana Cornelia Verbiesen petitioned to have her name changed to Shanna Adriana Cornelia Verbiesen on her 1958 petition for naturalization. Above: Google Maps, 2017 (pre-fire). Below: KTLA Channel 5 screenshots, 5-29-2017. LW3014: Download original images here.